This past month has been quite an emotional roller coaster. Yesterday marked one month since my car accident, and naturally, I’ve spent the entire month working on my recovery while also trying to move forward with my Shamrock training. 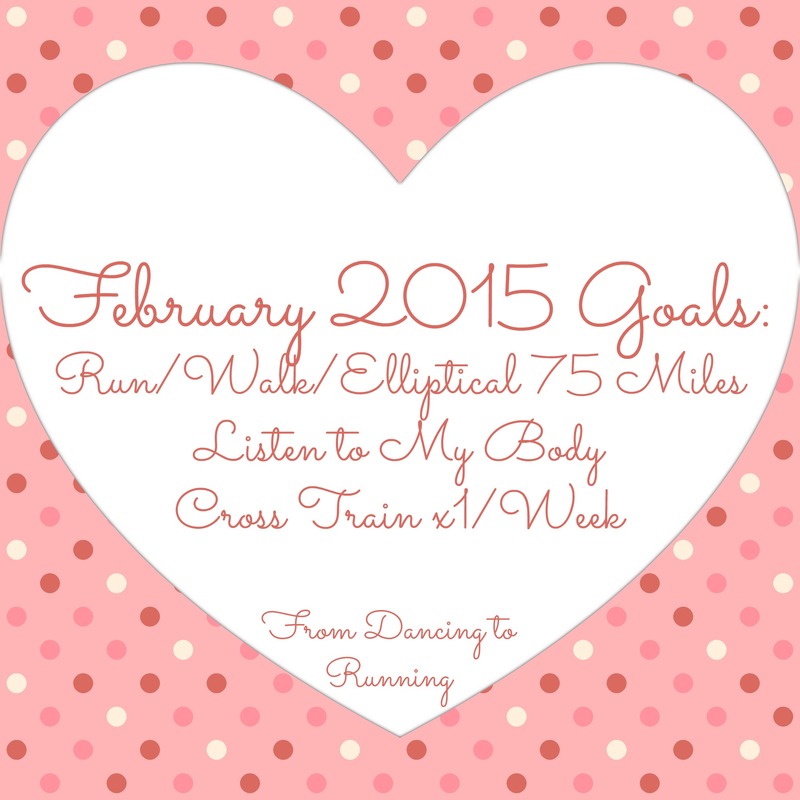 Just like at the end of January, I’m trying to not be overly critical of myself in regards to my February goals. Even though I wrote my February goals only a couple of days after the car accident, not knowing how long it would take for me to get back to my running, I wrote them mainly so that I had something to strive for. I’ve always had the mindset that having goals to reach for, even if they might be unattainable, is better than having no goals at all. Overall, I’d say February was a good month. I’ve found a chiropractor that I like who is helping me in working through my back injury. Most days, I’ve been able to complete my planned runs. And while I’m still running at a slightly slower pace than I was prior to the car accident, I can see that I’m making progress. 1. Run, walk, and elliptical at least 75 miles. My February mileage totaled out at 70.3 miles, just .1 miles more than I logged in January. While I was just under five miles shy of reaching my goal, I don’t consider this a completely missed goal. I did contemplate heading to the gym this past Friday and Saturday to reach my mileage goal, but decided that taking the planned rest was more important in anticipation of today’s St. Patrick’s Day Double. 2. Listen to my body. On days when I was either in too much pain or too tired to complete my planned work outs, I took the extra rest that my body was asking for. I refused to allow myself to feel guilty about giving my body the extra rest, especially since I’m still recovering from the car accident. 3. Cross train at least once a week. Just like last month, I successfully did yoga, went for a walk with Riley, or hopped on the elliptical at the gym at least once a week. A couple of weeks I cross trained more than once. But I’d like to be more consistent in cross training more than once a week. March is going to be an exciting month for many reasons. Not only will I be running my fourth half marathon in just three weeks, but at the end of the month Preston and I will be headed to Florida for a much needed vacation. There’s a lot to look forward to this month, and I look forward to also using my goals to keep myself on track with my training. The past two months I’ve logged 70 miles. Let’s see if this month I can up it and reach my 75 mile goal. 2. PR at my fourth half marathon. It should be of no surprise that my big goal at Shamrock is to PR. My current half marathon PR was set this past August at Rock ‘n’ Roll Virginia Beach. I can’t wait to see what I’m able to do in three weeks! As always, cross training is essential for me as I finish out my half marathon training and work on continuing to recover from the car accident. Keeping a positive attitude after your car accident has helped you so much Kathryn. There had to be plenty of days when you just wanted to skip exercise entirely, but keeping up with your mileage was a job well done. I agree that having goals is a great way to stay motivated and interested in workouts. I also like to have races to look forward to and that will keep my training on track! Shamrock should be a good gauge of your current fitness level and hopefully you will get that new PR. I will be rooting for you! Thanks Pam. I’ve really tried to not let a situation that I have no control over to completely take over my life. Some days its definitely been easier said than done. I am so sorry to hear about your car accident. I have been there before, but unfortunately have lived with back pain ever since. I think being able to listen to our bodies is key and is something I am trying to learn how to do. I haven’t written about it yet, but am choosing a small goal for March: drink more water. I still plan to workout at least 3x a week, but wanted to add something small to the list. Drinking more water is a great goal. We could all always benefit from drinking more of it. Good luck reaching your PR at Shamrock. At least the weather will be much cooler than rock n roll va beach. So that may also help you reach your PR. Good reflections, especially taking in to account your recovery from the accident! 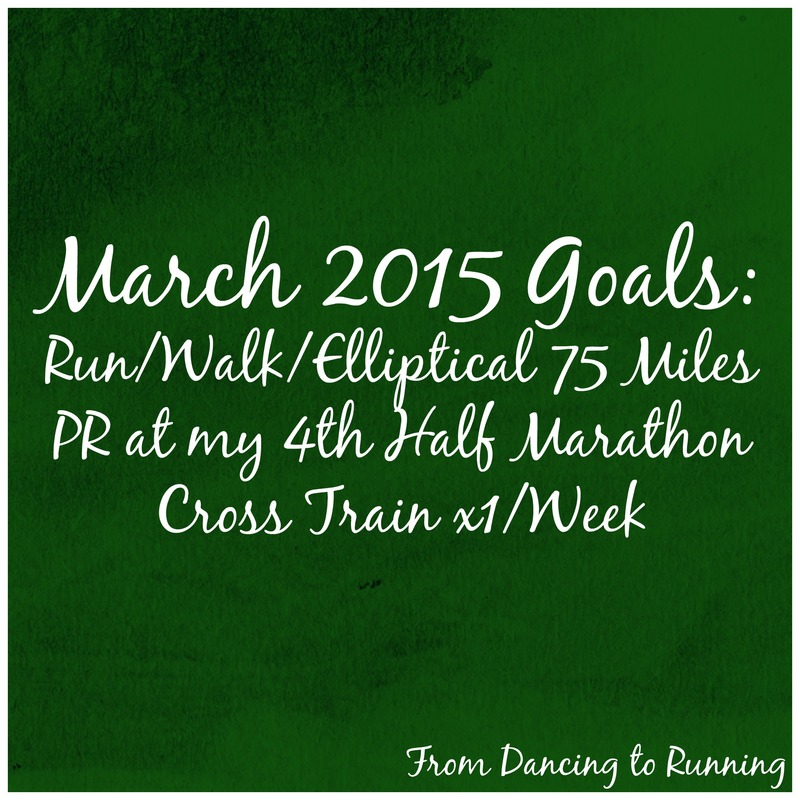 I think your March goals are very attainable. Keep up the great work! I can’t believe Baby Fish’s arrival is so close! It seems like the time has flown by! You are going to rock Shamrock, it is such a fast and flat course! So excited for you! You had a good month despite the injury and thought you’ve had an excellent attitude about it. I know you are going to have a great (couple of) race(s) at Shamrock! Thanks Jenny! I’ve tried to remain as positive as possible.